« UK-RUS trade 3 quarters 2018: Russia +1 place in UK Top importers. Keep on growing faster than any other from TOP-30 UK trading partners. 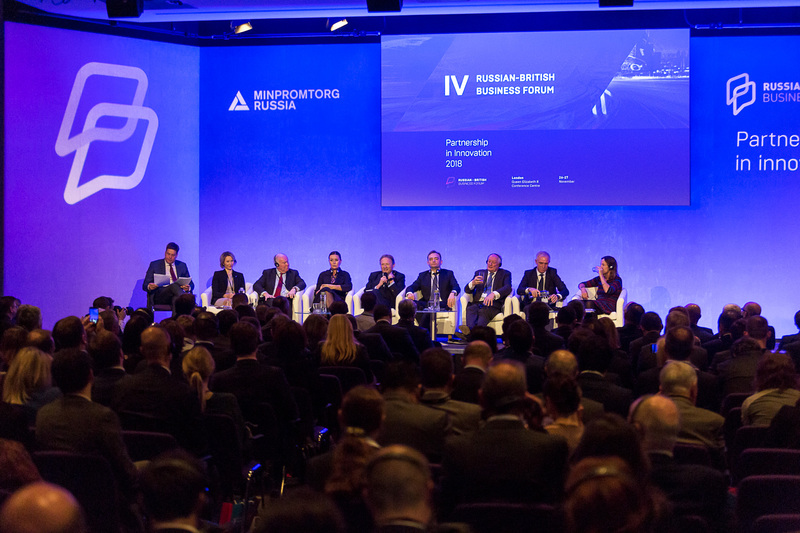 The 4th Russian–British Business Forum, a major annual business event in London, brought together over 800 participants and 50 high-profile speakers representing businesses, government organizations, and development institutions from both countries. According to expert forecasts, the trade turnover between Russia and Great Britain will continue to grow through the end of 2018 to approximately USD 14 billion. 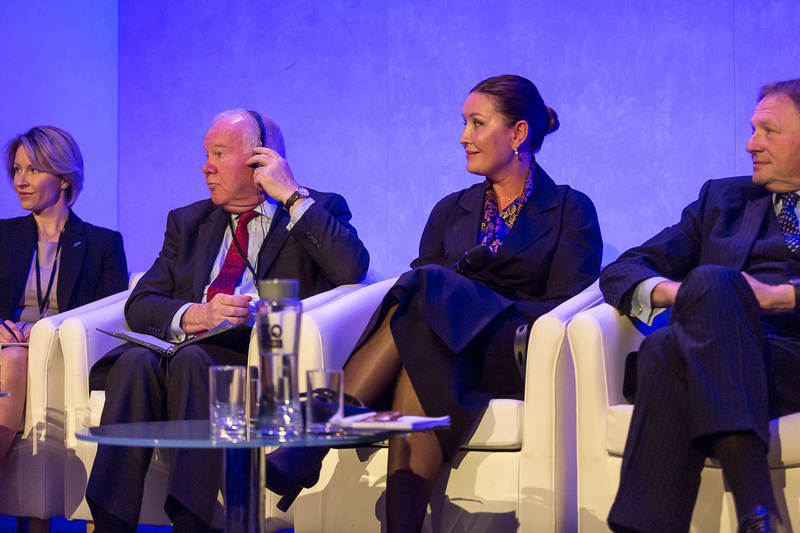 London, 26 November 2018 – The Queen Elizabeth II Conference Centre hosted the annual Russian–British Business Forum (RBBF), which has, for the fourth year in a row, served as a platform for discussions, presentations of Russian developments, and the signing of bilateral agreements. The theme of this year’s forum was ‘Partnership in Innovation’, driving discussions in four panel sessions, two roundtables, and a networking lunch for Russian startups and international investors and banks. RBBF is held under the aegis of the Ministry of Industry and Trade of the Russian Federation and is organized together with the Roscongress Foundation and 30 other Russian and international partners. – said Minister of Industry and Trade of the Russian Federation Denis Manturov. In the interest of developing cooperation in the high-tech sector, the forum included presentations of new products and solutions from Russian companies: a VR/IoT rehab platform from Motorica, Center 2M’s first machine vision solution using the IBM technology base (developed together with IBM), and the new areas of development for the Republic of Tatarstan’s PharmMedPolis project. remarked Roscongress Foundation CEO Alexander Stuglev. It’s currently favourable for Russia to purchase a wide range of goods and services. We aim to make trade cooperation familiar and easy to understand for Russian companies as well as British ones. As a platform for establishing dialogues between companies in various industries and discussing real examples of successful business interactions and challenges in today’s Russian and British market, RBBF serves as a positive indicator of the real nature of business relations. This year, RBBF has focused on Russia’s export potential in the high-tech sector, creative industries, and the service industry. At the exhibition’s Made in Russia stand, the Russian Export Centre and Skolkovo presented high-tech products from Russian companies working in banking services, client services, corporate IT solutions, and tourism. Seventeen Russian companies, including Heedbook, VidiGuide, SwitchSales and BoardMaps, presented their products at the stand. Tagged Abramov Boris, ASI, JD Waverley, minpromtorg, RBBF, rbbf2018, rbcc, Roscongress, Russian export centre, rustrade, tatarstan, Titov, uk export, uk-rus cooperation, uk-russia, Ulyanovsk. Bookmark the permalink.